"I've been working toward this for the past 20 years. I am beyond excited about being able to bring this REVOLUTIONARY performance science to your door. You will not be disappointed!" 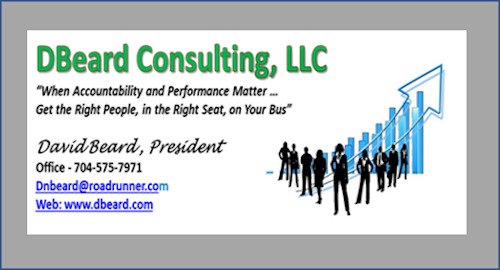 "The greatest reward I can receive is your testimonial that the Bus Concept™ has improved your bottom line and the quality of your life." Greg and Zeke bring over 35 years of performance experience to the table. Greg has 20+ years of executive recruiting experience plus 15 years as a behavior analyst with certifications in values, behaviors and thinking dimensions. His undergraduate degree is in business and science with advanced Hartman studies in Axiology, MAP, Lifestyle Pattern and Bias Pattern analysis and has achieved the Master Rating in Axiological studies. He has received numerous industry awards including the prestigious President's Award. Zeke Lopez is a top flight sales executive who brings a track record of superior performance. He always had an "itch" to understand performance and this work is ideally suited for him. He has created many of the wonderful structural components of the Bus performance system. He has his undergraduate degree in business, is also certified in values and behaviors, has studied extensively with the Hartman Institute and has also achieved the Master Rating in Axiological studies. Both of us have been incredibly fortunate to be under the tutelage of Dr. Hartman's most prolific graduate student Wayne Carpenter for the past 2.5 years. Wayne is the current living standard bearer for this amazing work and his lifelong efforts direct our work. He is a genius in his own right and we intend to honor his contribution to humanity via these unparalled tools that scientifically prove that each person has unique and valuable talent, that they are worthwhile human beings and placed in the correct position will achieve great things, make valuable contributions and receive great rewards. "If you ATTRACT the right people to your bus...get them ON your bus...You get them in the RIGHT SEATS on your bus...& get the Wrong People off your bus, you're headed for $uccess?" Sometimes you realize that everything you have done in the past has been preparing you for the current moment – that’s my story. After 32 years with Lance Inc. in the roles of Safety Director, Chip Plant Superintendent, Operations Analyst, Director of Compensation and 6 years as the Senior Director of Training and Organizational Development, I have developed a “real world understanding” of what is needed to support employees in all aspects of their development. I first was introduced to the BUS CONCEPT technology while serving as Senior Director of Training and Organizational Development. Does this technology really work? Using this technology at Lance, Inc. we were able to reduce field sales turnover rates from 70% to 24% in less than one year…and we were able to reduce the toxic dismissals by 34%. Do the math. What does it cost to hire and train a new employee? There was no question that using these tools saved real dollars and made great sense. Using these results as a springboard, we investigated the tools available for other aspects of our employee development. Once our managers were introduced to the tools, they were sold. The goal was NOT to change them…but to show them the workable path to becoming BETTER at BEING THEMSELVES. With the combination of practical experience and understanding of the technology, I look forward to assisting you and your work teams discover how to build on performance strengths and starve performance blockers for your organization’s improved performance.